People in modern cities like to participate and collaborate in local governments by means of suggestions and complaints submission. However, citizens are not used to work with administrative procedures; moreover many of them do not like to spend time in administrative queues. 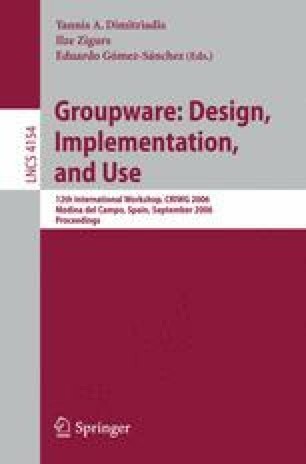 In this paper we show some empirical results obtained by the Complaints and Suggestions Web-Based Collaborative Procedure (CS-WCP) in its first year of service in the Albacete Town-Council (Spain). Before showing those results, the CS-WCP is described. Administrative procedures in town councils, intelligent agents, workflow processes and Web-based computing are mixed in the CS-WCP system. Notifications by means of e-mails and messages facilitate user-to-civil servant and system-to-user communication and collaboration. This work was partially supported by the Spanish CICYT project TIN2004-08000-C03-01 and the grant PCC05-005-1 from Junta de Comunidades de Castilla-La Mancha.